$600 per person, 2-day 4-hunt stay. Hunt is semi-guided and includes field transportation and lodging, but no meals. $1200 per person, 2-day 4-hunt stay. Semi guided hunt that includes field transportation, lodging and all meals. $1,550 per hunter for the weekend. Includes all meals, lodging, transportation, and cleaning and quartering of game. Prices based on two-day package. Bag limit is one buck per day, eight or more points and spread equal to or outside the ears, and one doe per day. Any additional buck harvested must be larger than first. Price includes pre-hunt warm up on our clay ranges, our famous southern fried chicken lunch and afternoon shoot. Custom designed packages are available. $550 per person per day with lunch. $650 per person per day with lodging and all meals. $340 half-day per person with lunch (12-bird bag). $490 half-day person with all meals and lodging. $600 per person per day with lunch. $700 per person per day with lodging and all meals. $390 half-day per person with lunch (12 quail, 2 chukar, 1 pheasant). $540 half-day person with all meals and lodging. All pricing includes guides, dogs, and field transportation. Packages can be tailored to meet your needs. Courses can also be set up for guests who wish to hunt and run their own dogs. $375 per gun, ten gun minimum, 150 pheasant, bird cleaning and packing, includes our famous fried chicken lunch. Includes guide, all meals, private lodging, on site transportation, and cleaning of game. Prices based on two-day package. Bag limit is one longbeard per day. Includes hands on instruction, guide, all meals, private lodging, on site transportation, and cleaning of game. Prices based on two-day package. Bag limit is one longbeard per day. 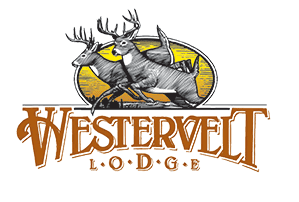 Of the many choices for deer, turkey, quail and dove hunting in Alabama, Westervelt Lodge’s reputation for quality experiences has served as a benchmark since our first hunt in 1951. Guests pursue free range white-tailed deer and wild turkeys roaming our 12,000 contiguous acres in West Alabama – private property that rates as some of the finest in the country.